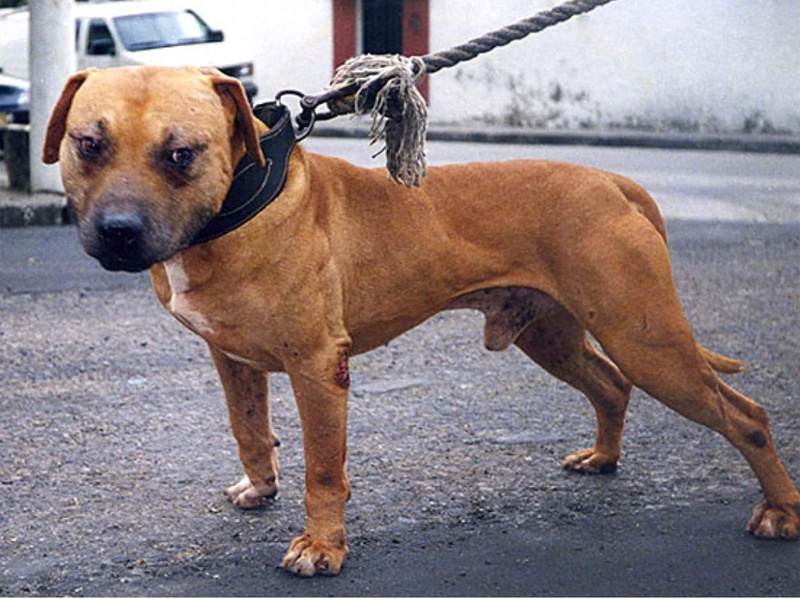 The American Pit Bull Terrier, is the dream dog for those who love the warrior main set, NEVER , NEVER , NEVER give up !! 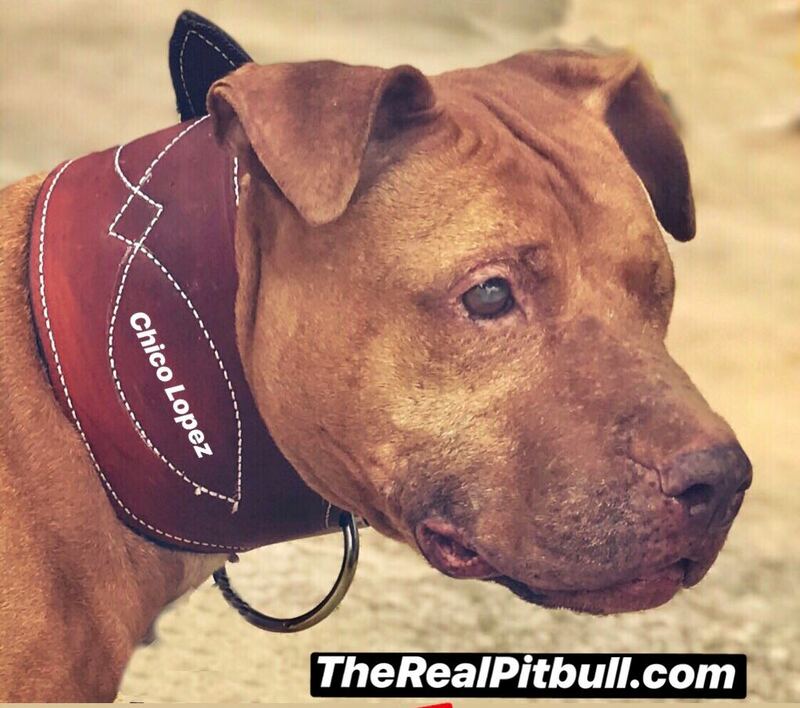 Chico Lopez`s Working collars are captivating dog fanciers of all breeds all over the world! 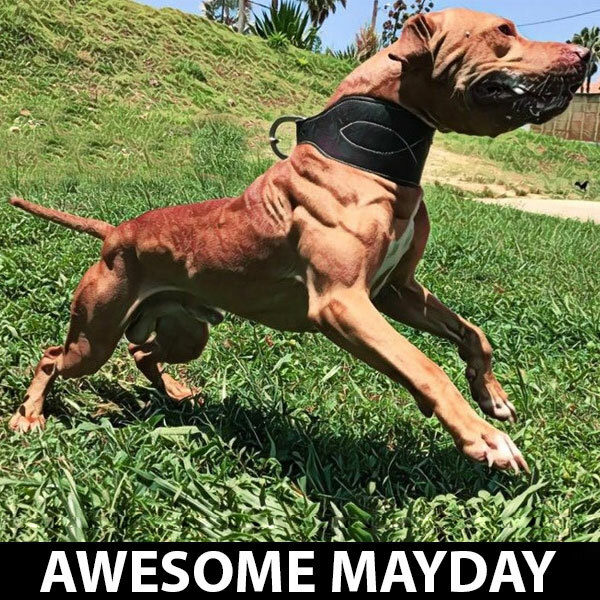 For many years we seen legendary dogs such as Gr Ch Mayday ROM, Gr Ch Barracuda, Global Gr Ch Siega The Great , Global Ch The Bagman and now AWESOME MAYDAY !! We worked from the original designed and made it way better and more durable. 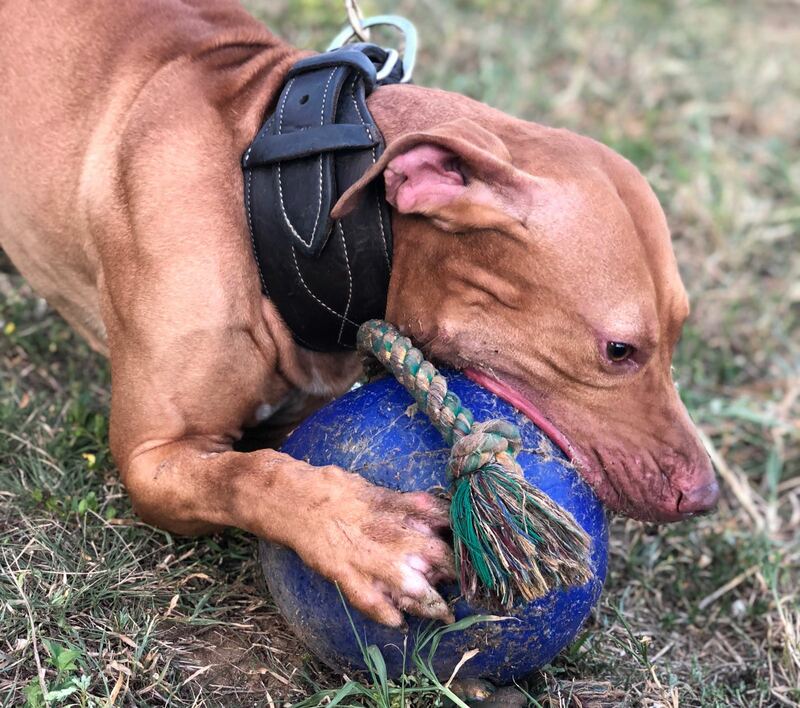 Originally the collars were only used in our dogs, yet since we started to sell a few puppies to friends, the request came in a few months. Would you sell me a collar? The pups are too hard drive. Each collar is made with the help of a friend who is a specialists on working with leather. I select the materials, and over see all the building up process. 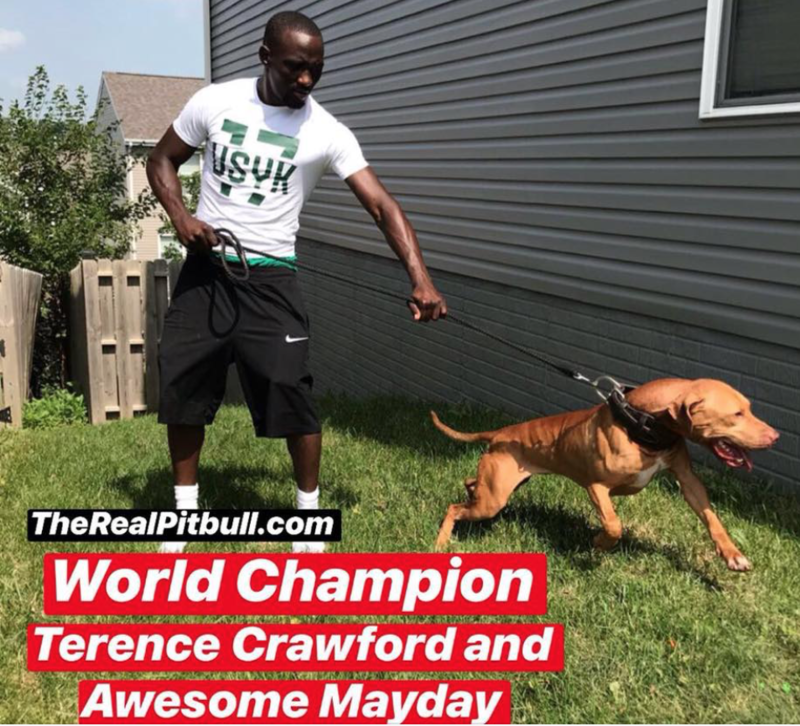 Imagine getting such a collar where a top self dogman actually worked on. Each one is unique and sold as is. 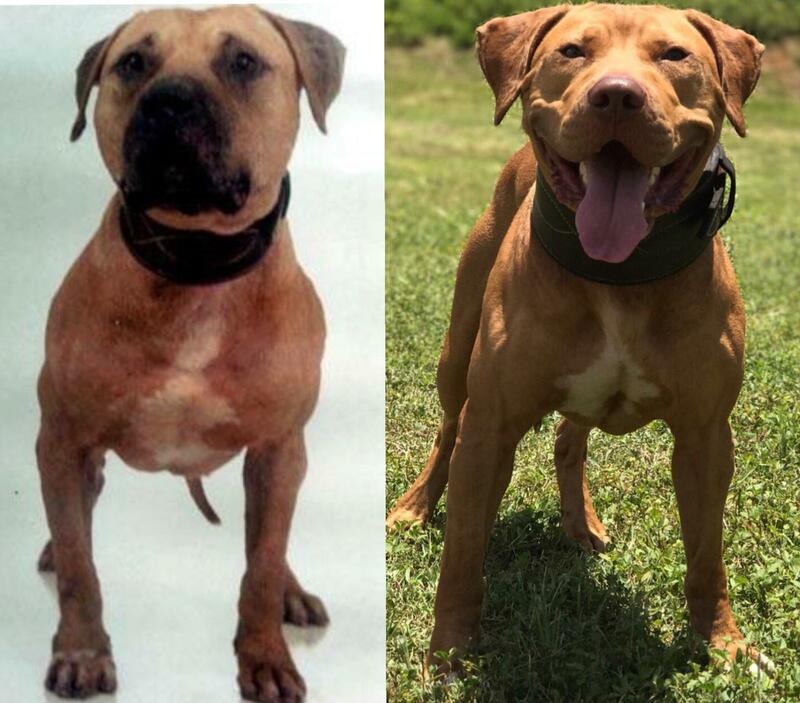 Our dogs from 37 to 56 pounds use them. for information contact me directly and I will talk about it. Prices to The USA continent $130.00 to Europe $155 ! That includes shipping.